In Arizona, Elks help children in two distinct ways. We have sponsored research at the University of Arizona's "Steele Children's Research Center" since 1992 with over $3 million in donations. We remodeled and modernized the "Arizona Elks Clinic for Children and Young Adults" and provide funds for an endowed chair in Neonatology. We are also very proud of our Elks Youth Camp located in the Sierra Ancha Mountains in northeast Arizona. This camp is open and available to youth groups throughout the state. 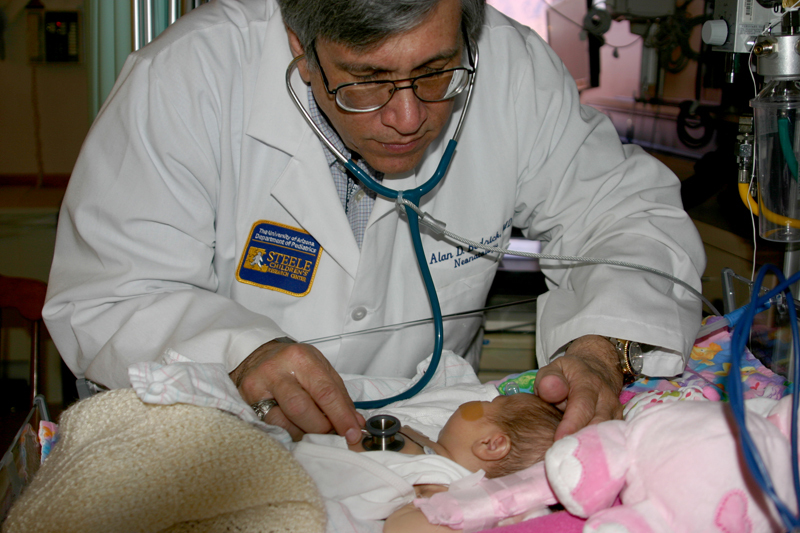 Doctor Bedrick caring for a newborn baby at University Medical Center. 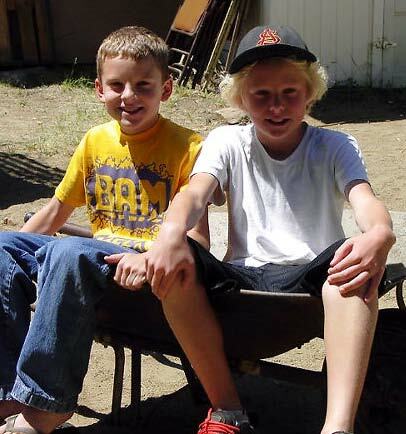 "Best Buds" relaxing at the Elks Youth Camp.